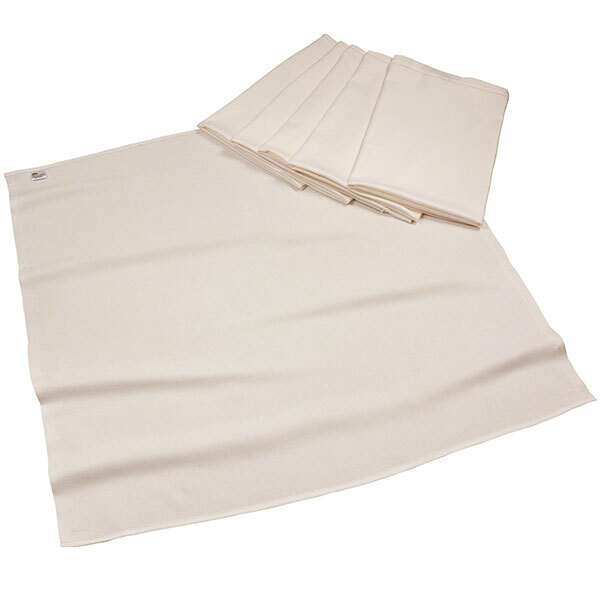 Bamboo-organic cotton flat diapers are 70% bamboo and 30% certified organic cotton. They measure 32 by 35 inches and are 1 layer thick. 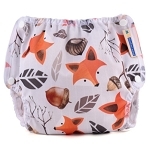 The bamboo gives the diaper extra softness and absorbency, while the added organic cotton makes the diaper sturdy and long lasting. These flat diapers are larger than our other ones as they tend to shrink more over time. These diapers are sized to shrink to square for easy folding. Your results may vary in this regard. Wash and dry in warm. Or hang to dry and save energy! 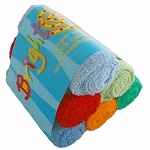 Washing and drying in high temperatures may result in extensive shrinkage. This is the original cloth diaper still used in many countries. These are a one size fits all diaper that requires folding to properly fit baby. 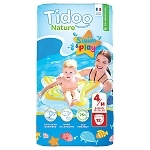 This diapers also make great inserts for pocket diapers and are useful for other purposes such as dish towels, cleanups, burp cloths , lap pads, changing pads, bibs, wash cloths and baby wipers. 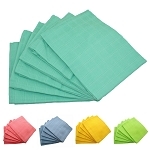 These diapers are also used as optical cleaning cloths, CD & record cleaning cloths and for shoe shine polishing rags. 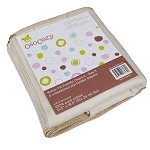 Because these diapers are only one layer thick they dry quickly on your cloths line or in your dryer. 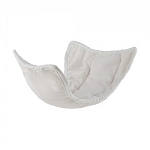 Used with pins and plastic pants or into your diaper covers or use inside a pocket diaper. 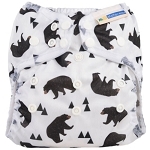 If you have the patience and are willing to do a little bit of folding, then using these diapers are far and away the least expensive way to comfortably diaper your baby. *Please avoid the use of Borax and other soaps. These tend to build up in the Bamboo fibers. We recommend liquid detergent with the use of Bamboo fibers. 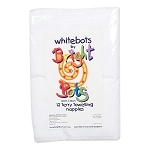 These are amazing, very absorbent, easy to use and dry quick. The only nappy I use day and night on my heavy wetting baby!